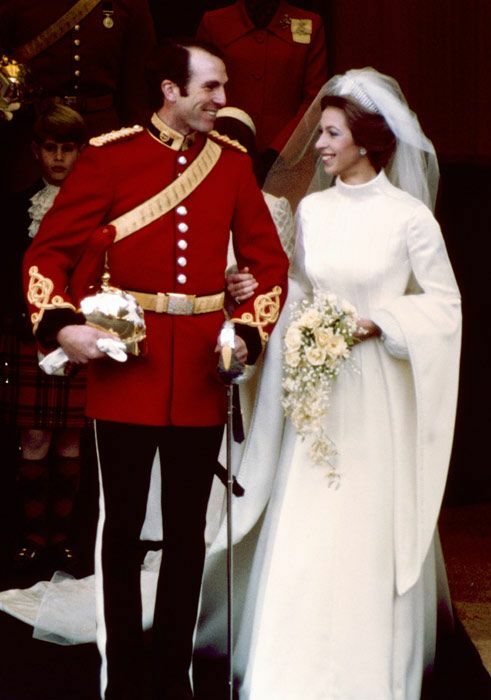 1973 Wedding Day for Princess Anne and Mark Phillips. The couple had two children, Peter Phillips and Zara Phillips. They divorced in 1992.